He didn't quite cut it under Louis Van Gaal at Man Utd, but Ángel Di María has since recaptured some of his Real Madrid form at PSG. 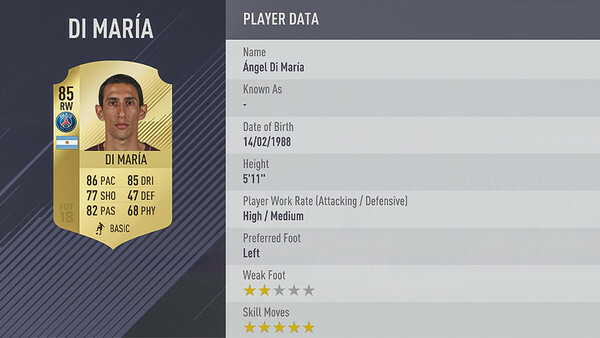 EA also feel Di María's failure to light up the Premier League isn't a worry, because he has 5-star skill moves and a wealth of top stats in FIFA 18. On the right wing, Di María is dangerous to even the best defenders. The oldest player on this list at 34, Bayern Munich's Franck Ribéry was still an expensive purchase in FIFA 17. This year's game is likely to be the same, although that won't be a concern to those who play as Bayern anyway. Defying age, Ribéry's 82 pace combines well with his superior skill moves to make him one of FIFA's best left-sided midfielders. Man Utd fans are starting to see the best of Paul Pogba. The Frenchman links up well with Romelu Lukaku to make the Red Devils a machine going forward, but Juventus supporters will also be able to crow about Pogba's defensive qualities. 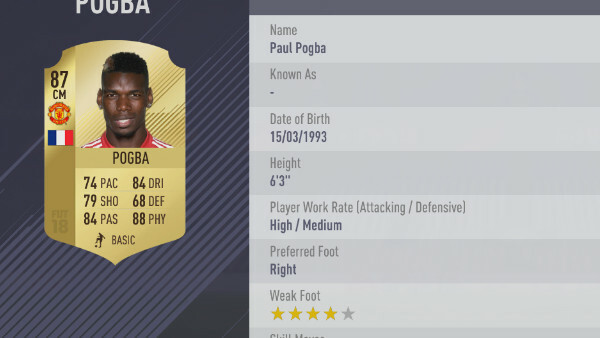 Those aren't reflected in FIFA 18 (68 for defending), but Pogba does have great skills and is one of the greatest central midfielders around.